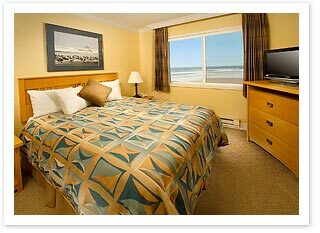 Spacious ocean front studio suite with one queen bed or queen Murphy bed, gas fireplace, private balcony/patio, fully equipped kitchen, private bathroom, wireless connectivity, TV/DVD, non-smoking, direct access to the beach. Sleeps 2. Complimentary morning coffee and newspaper. 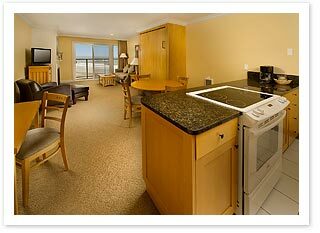 Private outdoor parking, local shuttle to downtown Cannon Beach. Spacious ocean front one bedroom suite with one queen bed in private bedroom and a queen Murphy bed in the living room, gas fireplace, private balcony/patio, fully equipped kitchen, private bathroom, wireless connectivity, TV/DVD, non-smoking, direct access to the beach. Sleeps 4. Complimentary morning coffee and newspaper. Private outdoor parking, local shuttle to downtown Cannon Beach. 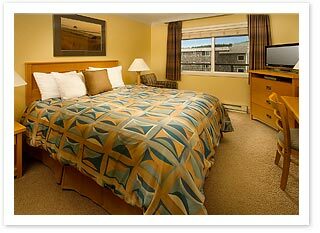 Please call 1-800-333-8890 to reserve this room. Ocean front suite with two private bedrooms each with a queen bed, two private bathrooms, 3rd queen bed is a wall bed located between the living and dining areas, fully equipped kitchen, living room, gas fireplace, wireless connectivity, TV/DVD, dining area, private balcony/patio, nonsmoking, direct access to beach. Sleeps 6. Complimentary morning coffee and newspaper. Private outdoor parking, local shuttle to downtown Cannon Beach. Large ocean front corner suite with one queen bed in private bedroom, fully equipped kitchen, living room with queen sofa sleeper, gas fireplace, wireless connectivity, TV/DVD, dining room, private bathroom, nonsmoking, direct access to beach. Sleeps 4. Complimentary morning coffee and newspaper. Private outdoor parking, local shuttle to downtown Cannon Beach. Large corner ocean front suite with two private bedrooms (1 with a queen bed and 1 with a king bed); two private bathrooms, living room with a queen sofa sleeper, gas fireplace, wireless connectivity, TV/DVD, fully equipped kitchen, dining room, private balcony/patio with full ocean front views; non-smoking; direct access to beach. Sleeps 6. Complimentary morning coffee and newspaper. 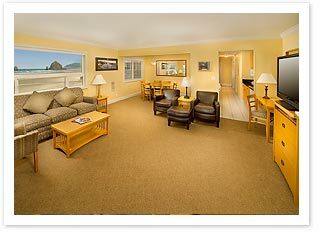 Private outdoor parking, local shuttle to downtown Cannon Beach.